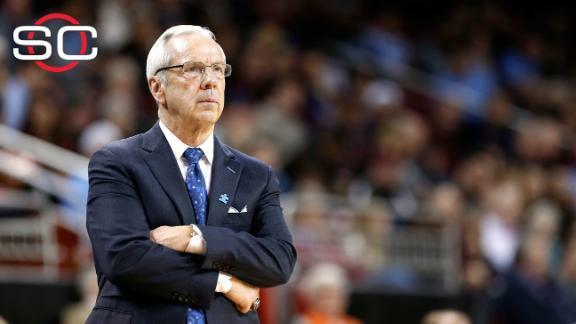 CHAPEL HILL, N.C. (WTVD) -- The University of North Carolina at Chapel Hill announced Friday it has extended Head Men's Basketball Coach Roy Williams' contract. The news comes as UNC deals with the NCAA's "notice of allegations" against its sports programs, and the 12-month probation the agency that provides accreditation to institutes of higher learning put the university on earlier this month in the wake of the damaging Wainstein report on academic fraud involving athletes. The NCAA accused UNC of five violations, but Williams was not named in any of them. The two-time national championship-winning coach will remain with the Tar Heels through the 2019-20 season and will get an increase in his compensation package. Williams' new contract includes a base salary ranging from $408,169 next year to $595,409 in 2019-20, deferred compensation ranging from $1,550,000 next year to $1,750,000 in 2019-20 and an annual expense account of $40,000. In addition to University compensation, the two-time national championship-winning coach also has personal contracts with Nike and Learfield for clothing/apparel and multi-media obligations. "I've said I want to coach another six to 10 years, so this contract takes me right to the edge of that, which is good," says Williams. "I appreciate the confidence Chancellor Folt and Bubba Cunningham have in my leadership of the basketball program. They've demonstrated that with this contract extension, and with their support over the past several years, which have been a challenge for all who love Carolina as I do. I thank them on behalf of our basketball program and me personally." Next season, Williams will begin his 13th year as the head coach at his alma mater and his 28th as a collegiate coach. "The University of North Carolina is fortunate to have Roy Williams directing its basketball program and we are proud to extend his contract through the 2020 season," says Cunningham. "His results on the court over 27 years as a head coach are among the most accomplished in the history of the sport, but his love for the University of North Carolina and the way he cares for his students are truly unmatched. Roy is a man of character and integrity and I have great respect for the way he leads our basketball program."